When we returned Pinahsi to exhibit on Monday, we swapped him for another mummy in the same case, a mummified man named Nespekashuti. 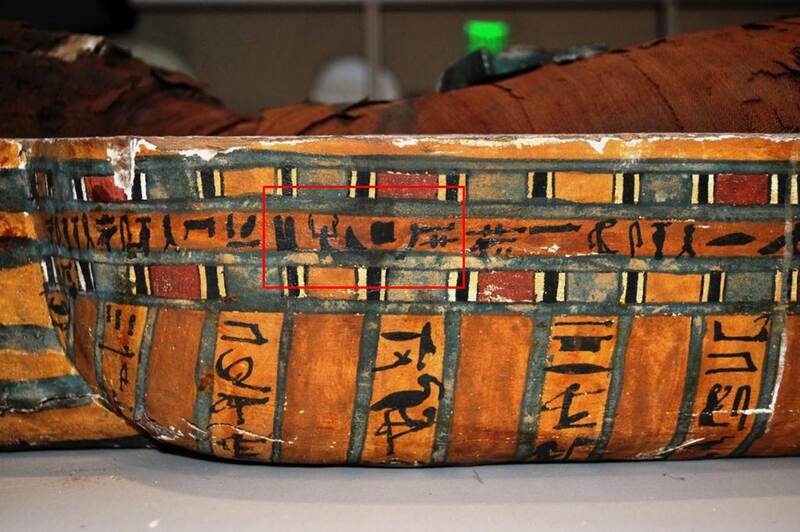 Unlike Pinahsi, we actually have Nespekashuti’s coffin (see image above), and we brought him into the lab in the coffin box. The lid will remain on exhibit for the meantime, but it will eventually also come to the Artifact Lab for treatment. We have had Nespekashuti since 1893 – his remains and coffin were purchased from Emile Brugsch, a German Egyptologist and assistant curator at the time at the Bulaq Museum (now the Egyptian Museum). Nespekashuti in his coffin in the lab. We have a lot more to learn about Nespekashuti, and as far as conservation treatment goes, I have my work cut out for me. 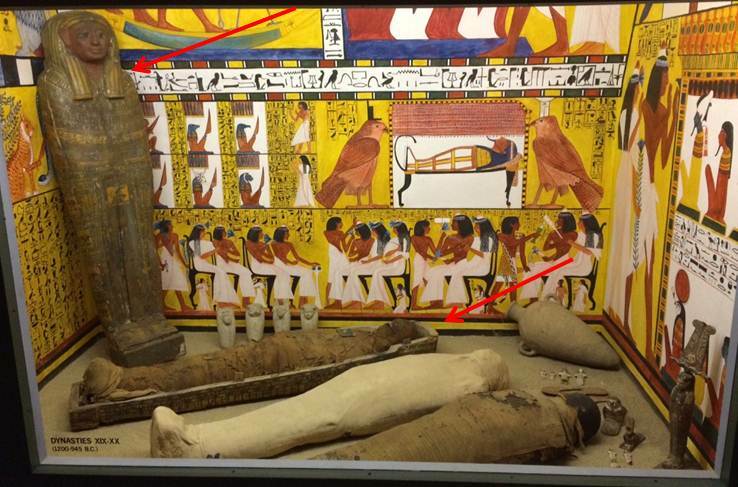 This entry was posted in Mummies, Objects In the Artifact Lab, on exhibit and tagged Bulaq Museum, Emile Brugsch, human mummy, Nespekashuti by mollygleeson. Bookmark the permalink.